After months of back and forth on the subject, President Donald Trump’s administration has done what everyone pretty much knew it would do the whole time and has lifted a ban on the importation of some African elephant trophies from Zimbabwe and Zambia. As NPR noted, this was still his public stance in January 2018, when Trump told intolerable British media personality Piers Morgan, “I didn’t want elephants killed and stuffed and have the tusks brought back.” The president additionally argued that much of the conservation funding that trophy hunting supposedly generates ends up in the pockets of corrupt government officials. “As soon as I heard about it, I turned it around,” Trump said. However, Interior Secretary Ryan Zinke is a huge fan of hunting, guns, and Big Buck Hunter, and Fish and Wildlife apparently used a late-December court ruling that the Obama administration skipped several parts of the regulatory process while implementing the ban as a pretext to reverse it in this decision. According to NPR, while whether or not this counts as a complete 180 depends on how Fish and Wildlife actually enforces the case-by-case system, the department curiously forewent the usual process of making an announcement this time and it was only noted by the Hill on Monday. In other words, they’re trying to fly it under the radar, though whether that is to avoid anger from the public or Trump is anyone’s guess. 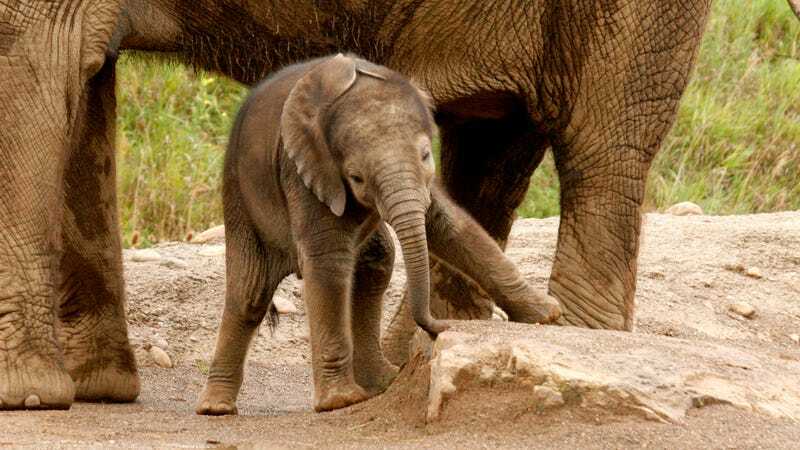 In any case, this decision could bode poorly for savanna elephant populations, which ABC News reported dropped by 30 percent from the years 2007 to 2014 in 18 African countries. The money from trophy hunting is in theory supposed to go to local communities as a way to give them economic options that don’t involve poaching. There is some evidence of this model having a positive effect in a few countries, though the New York Times reported there is also evidence of it having little or a detrimental impact in others and that the practice seems largely motivated by billions in profits and a lack of alternatives. National Geographic reported in 2015 that the abundance of research suggests that locals end up seeing little of the pricey trophy-hunting fees (which often run five figures) and that the “vast majority of this income is returned to operators and spin-off beneficiaries such as airlines, hotels, tourism facilities.” The magazine later reported in 2017 that more biologists and conservationists are beginning to push for alternative models of funding that don’t involve shooting the animals for sport. There is not, though, universal agreement. Tanzania’s Ruaha Carnivore Project director Amy Dickman wrote in CNN last year that the biggest threats to animal populations are loss of habitat, poaching, and conflicts with locals, and that the primary benefit of trophy hunting is simply ensuring governments reserve dedicated territories for threatened or endangered animal populations.